Celebrate the live action dark coming-of-age television series with this Pop! vinyl figure. Sabrina Spellman has her work cut out for her fighting the forces of evil while attempting to pass as an ordinary mortal teenager. Does she have what it takes? 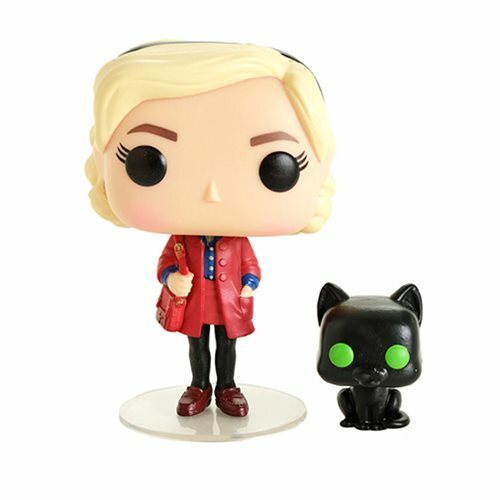 This Sabrina Pop! Vinyl Figure measures approximately 3 3/4-inches tall and Salem measures approximately 1 1/2-inches. The duo comes packaged in a window display box. Ages 3 and up.